The most Acoustically Safe Headset in the World! 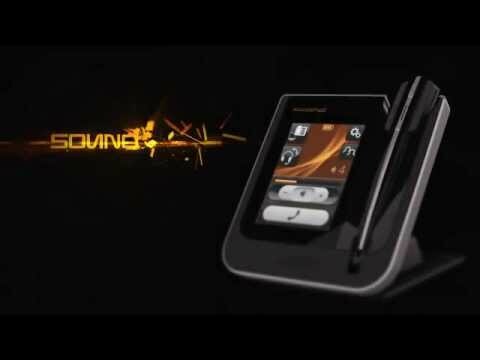 Soundshield Wireless™ Headset has been uniquely designed for Contact Centre Agents and their Managers; providing them with advanced headset functionality which enables them to easily and quickly controls calls, both desk-phone and softphone. Used by many of the largest contact centres in Australia, it has proven time and time again as providing the highest level of acoustic protection of any wireless headset, ensuring that contact centre agents are completely protected from acoustic shock injury as well as long term noise exposure. The Soundshield Wireless Headset is the best wireless headset in its category and the best that any contact centre could offer its agents. Total Shriek Rejection™ ensures that any sudden & unexpected loud noises never reach the ear of a headset user and the risk of acoustic shock injury is completely eliminated. Sound Level Limiter protects headset users from long term exposure to loud noise. Exceeds the ACIF G616 Guidelines. Simply dock your headset to that of an agent’s to listen to their calls either side-by-side or from the comfort of your own desk. Sonaron™ software in the Soundshield Wireless collects Noise Dosimetry (sound data) which can be exported into easy-to-read graphs for analysis empowering Contact or OH&S Managers by enabling them to monitor and control the noise in their contact centres. Effortless switching from Desk-phone to PC Audio is perfect for contact centres who implement Online Training Programs such as e-Learning or Quality Assurance Training. Intuitive Colour Touchscreen provides visual feedback on all call controls and settings. No buttons or mechanical switches on the base unit means that you can easily control every call. Digital Sound Processing (DSP) technology provides the best HD Wideband voice processing and ensures excellent intelligibility and sound quality. Your headset battery will last all day. 13+ hours talk time in narrowband mode and 9+ hours in wideband mode. Easy switching to PC audio gives you access to Skype™ for Business / Lync®, Cisco® WebEx®, Cisco® Jabber®, Avaya, ShoreTel®, Mitel® and other VoIP / Softphone applications. Includes Skype™ for Business / Lync® call controls. Designed for all-day maximum comfort: Ear hook and headband styles available. The Talk & Charge feature lets you charge a second headset and continue talking on the primary headset without any interruption to your call. Compatible with Skype™ for Business / Lync®, Cisco® WebEx®, Cisco® Jabber®, Avaya, ShoreTel®, Mitel® and other VoIP / Softphone applications. 1. I set up my Soundshield Wireless Headset but it's not working. Can you help me? First of all, check that all cables have been plugged into the correct sockets on the Soundshield Wireless base. If your headset still doesn't work, please contact one of our friendly Customer Service team members for assistance on 1800 626 505 or use our Live Chat facility. 2. An Electronic Hook Switch Cable (EHS) is a much neater option compared to a Handset Lifter. Why is one not recommended for my phone? Most phones available do not have the appropriate software or hardware requirements to cater for an EHS Cable. 3. Why do I hear an echo? Your Transmit Level is too high - reducing the Microphone Level should resolve the issue. Using your touchscreen, go to Settings - Mic Level, and from there lower your transmit level. If you are unsure, please do not hesitate to contact one of our friendly Customer Service staff members on 1800 626 505 or use our Live Chat facility. 4. I can hear the caller but they can't hear me, why? Confirm you haven't muted the call and/or check the Microphone Level isn't too low. To check your microphone level use your touchscreen to go to Settings - Mic Level. If this does not fix your issue, please contact our friendly Customer Service team on 1800 626 505 or use our Live Chat facility. Best Wireless Headset for the Office.